The BRMNA membership year runs from September 1st of one year until August 31st of the following year and we are now in the 2018/19 membership year. It entitles members to receive the BRMNA Journal (6 per year), the annual BRMNA membership directory and to register in and use the features of the BRMNA member zone. The BRMNA Journal can be provided to you in printed form or in electronic form. If you elect to receive the Journal in printed form it will be mailed to you. You can also access it in electronic form at no additional cost through the member zone. If you elect to receive the Journal in electronic form you will be notified by email of its availability as soon as it is accessible in the member zone. 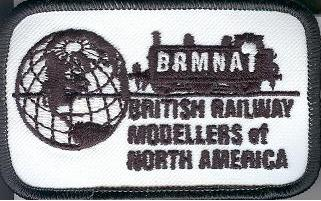 The annual BRMNA membership directory that includes the name, contact information and modelling interests of each member is provided in printed form only. It is published at the same time as the November/December issue of the Journal and is mailed to paid up members along with their membership card. Note that all members, whether they decide to get the printed or the electronic version, should register for the member zone as it contains benefits that are accessible only to members or which, in the case of second hand sales, are accessible to members before being made available to anyone else. The annual membership fee depends on the form in which you wish to receive the BRMNA Journal and on your mailing address. The membership fee for new members is $15 higher for the first year to cover the one time cost of the engraved name badge and crest. The membership fee for those who were previously members who are rejoining after a break in membership is $5 higher for the first year to cover administrative setup costs. You can pay your membership electronically through Interac payment by e-mail or through PayPal. You do not need to have a PayPal account to use their service. . When you log in to PayPal, the recipient account that you should use is: . 3. Enter the treasurer's email address (treasurer@brmna.org) and the amount you want to send. 4. Select Purchase or Personal, then choose the reason for the payment. 6. Review the amount, the payment method, and shipping address. 7. Add a message (if you want to), then click Send Money. You can also pay by cheque or appropriate money orders which should be made payable to B.R.M.N.A.. BRMNA has both a Canadian and a US bank account to minimise your bank charges regardless of where you may reside. We ask that you provide the following information on the application form. Your name and address information will be used to mail your directory, membership card, engraved badge and crest. Your first name and last name with no salutation will appear on your engraved badge. Please ensure that what you provide is what you want to see on it! All the membership information that you provide will be published in the annual BRMNA membership directory. Please provide as much as possible as it helps members to identify those with similar interests. Also, please send any changes, especially to your contact information, to the Secretary. Please note that any information that appears in the directory will be limited to BRMNA members only and will not be provided to anyone, including members, in electronic form. Some BRMNA promotional information is available in PDF format through the brochure. It is stored as a two sided document that can then be folded, concertina style, to fit into your pocket. If your printer will only print on one side then print page one; turn the resulting sheet over and print page two on the other side. Fold it and you have a handy brochure/reference for your own use and for promoting BRMNA. Dave Venables, 6 Trevor Crescent, Nepean, ON, K2H 6H8, Canada. You can send in updated information at any time by email. Of particular importance to be kept current are your mailing address and email address.